PcBuddy computer repair website template is a modern, effective and well researched website template. Which is ready to boast your computer services website nicely. We have just not researched the websites of computer repairing businesses carefully but we have also discussed the requirements and needs of computer services business owners. 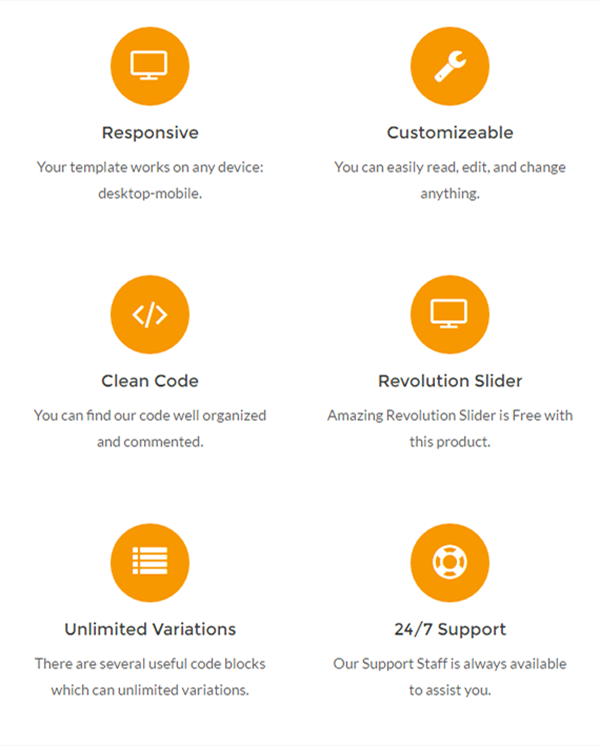 Specially designed elements which are responsive and cross browser compatible as well give you hundreds of possibilites. With mixing up and variations of elements you can design or create several new pages. No matter you want services, faq’s, testimonials, shop, staff or anything template includes almost everything. If we say its one of the best site template for computer repair business we are not wrong check demo to know more about template. 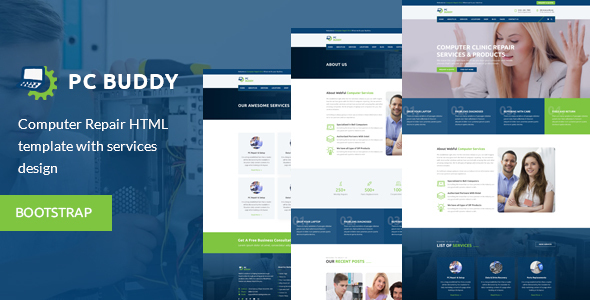 PcBuddy repairing services HTML template is bundled with tons of features and have ability to get customized and make unlimited variations from available code blocks. Some of main built in features are listed below. Images used in preview are not included in download file. Placeholders are used in download file which you can replace easily with your own images. Fonts are used from Google Fonts and you can change and use any fonts easily.